Tess Monaghan has finally made the move and hung out her shingle as a p.i.-for-hire, complete with an office in Butchers Hill. Maybe it's not the best address in Baltimore, but you gotta start somewhere, and Tess's greyhound Esskay has no trouble taking marathon naps anywhere there's a roof. Then in walks Luther Beale, the notorious vigilante who five years ago shot a boy for vandalizing his car. Just out of prison, he says he wants to make reparations to the kids who witnessed his crime, so he needs Tess to find them. But once she starts snooping, the witnesses start dying. 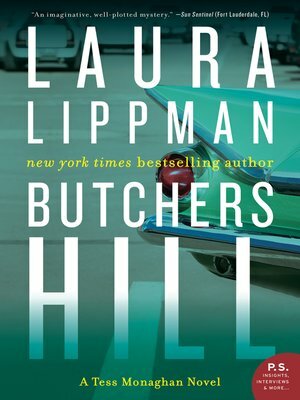 Is the "Butcher of Butchers Hill" at it again? Like it or not, Tess is embroiled in a case that encompasses the powers that-be, a heartless system that has destroyed the lives of children, and a nasty trail of money and lies leading all the way back to Butchers Hill.